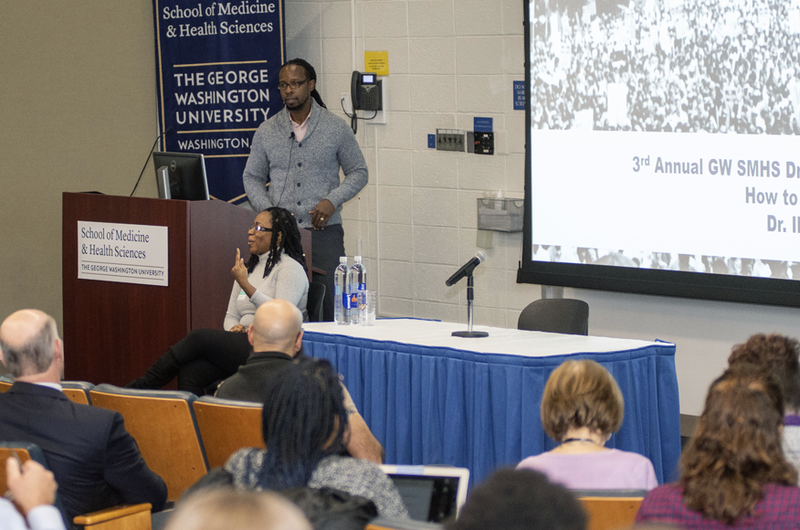 Kendi’s remarks came during the 3rd Annual George Washington University School of Medicine and Health Sciences (SMHS) Dr. Martin Luther King Jr. Lecture, hosted by the SMHS Office of Diversity and Inclusion, on Jan. 16. In his address, titled “How To Be an Antiracist,” Kendi contended that the idea of “not-racist” ideas or actions are not the counter balance to racist ideas or actions . When Americans remember King, Kendi insisted, “we don’t remember King the revolutionary, we remember King the dreamer.” When this version of King is celebrated, we only celebrate America’s march of racial progress over the past 50 years. In closing, Kendi addressed what public institutions, as well political leaders, ought to be mindful of when evaluating the racial equity of existing policies.